Can women find freedom in Tehran’s female-only parks? Behind her, a group of women wearing T-shirts and skinny jeans are dancing to loud pop music. One of them climbs on top of a table and sways her hips to the rhythm of the music. A group of schoolgirls wearing white headscarves stop to watch. In the capital of the Islamic Republic of Iran, women must abide by a strict dress code: a headscarf, long trousers and a coat that covers the hips. Those who flout the rules risk the wrath of the morality police. But here at Mother’s Paradise park, the women – who have hung their headscarves and coats on the branches of trees nearby – aren’t breaking any rules: this is one of Tehran’s women-only parks, a popular new development across the country. The Mother’s Paradise was the first to open in the capital, in 2008. Three subsequently materialised in other neighbourhoods – and then spread to other cities. In the popular tourist city of Isfahan, for example, there are now five. While women-only parks also exist in other Islamic countries including Pakistan, Afghanistan and Saudi Arabia to offer women recreational spots safe from sexual harassment, in Iran they have – at least ostensibly – also been set up for health reasons. Reza Arjmand, a sociologist at the University of Lund, Sweden, who recently published a book about the parks, says Vitamin D deficiency is a problem in Iranian cities, where women are forced to cover themselves in public and often live in apartments with small windows that don’t admit much sunlight. A study in 2001 for the ministry of health revealed an alarming growth in the number of women developing osteoporosis, which Arjmand says inspired the authorities to start building the parks. 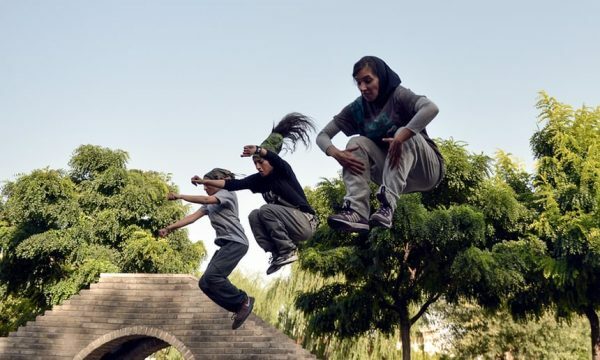 According to Arjmand, the parks also offer the authorities “a great chance to take segregation of women and men to another level” – and for this reason many Iranian women are fiercely critical of them. Criticism has also come from conservative Iranians. The pro-government sociologist Ali Entezahi has stated that parks where headscarves can be removed will only “cause confusion” among women, because they might start doubting the necessity of covering themselves up in public at all times. At the Mother’s Paradise, women eat lunch in pavilions, some train on outdoor fitness equipment, others buy soft drinks at a kiosks or are busy with their children. There are girls in miniskirts and shorts, but some women prefer to keep their coats and scarves on. A large metal fence shuts out the outside world. Female guards in blue uniforms with white gloves and a whistle keep a keen eye on everything. It is strictly forbidden to take photographs. 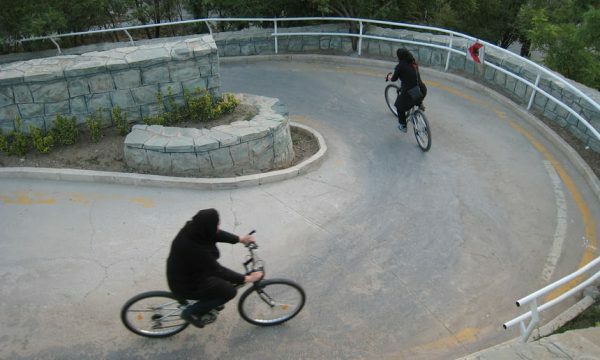 ‘They said girls don’t ride bikes’: Iranian women defy the cycling fatwa. Finding suitable locations for the parks has also been problematic, because of the risk that men could see in from a window or a balcony from a neighbouring building. As a result, many of the green spaces are situated in suburban areas, which make them difficult to reach for many women. Some are also required to close early, to prevent a confrontation between unveiled women and male gardeners who come to water the plants – meaning working women are unable to use them. It is a strange paradox: Iran is building parks for women – but doesn’t seem to have considered the qualities that would make them uniquely attractive to them. Nevertheless, Arjmand does see a positive side to the development. “No matter how you look at it: a group of women will benefit from these parks. For women from religious families this is often the only possibility to spend time outside without a headscarf. 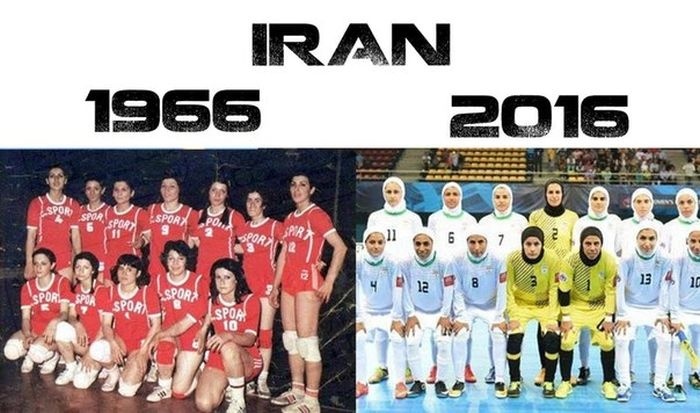 Women had what is considered normal freedoms 40 years ago, since then the mullahs have murdered their way to a unsustainable theocratic Islameic dictatorship that treats women as second class citizens.